Do consider coming to our next meeting. Doris makes a divine Battenberg cake.—Linda Crosby, The Book Of Life, Ch. 25. We wanted our first post of the year to be somewhat different and whimsical, so why not tackling food history? Battenberg Cake history to be precise. We promise, it’s very light reading, with lots of pictures. There is so much to say about this wonderful city, we didn’t know where to begin. 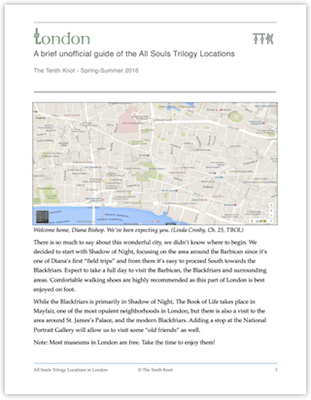 We decided to start with Shadow of Night, focusing on the area around the Barbican since it’s one of Diana’s first “field trips.” From there it’s easy to proceed South towards the Blackfriars. 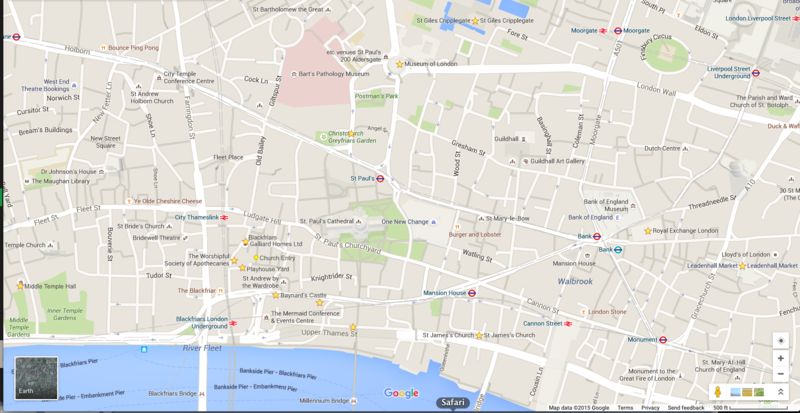 Expect to take a full day, and even two days to visit the Barbican, the Blackfriars and surrounding areas. Comfortable walking shoes are highly recommended as this part of London is best enjoyed on foot. 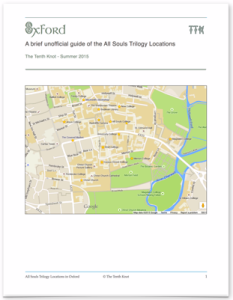 A map of the AST-London is available here. That’s all we knew until Friday, October 9 when Deborah announced on Facebook her new novel entitled THE SERPENT’S MIRROR. Our journey of the All Souls Trilogy locations in Oxford resumes after the hiatus due to the AllSoulsCon celebration. 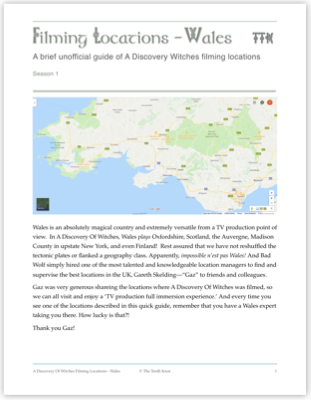 This time we explore some of the locations where Diana jogs or strolls with Matthew, as well as some landmarks briefly mentioned in A Discovery of Witches that are part of the Oxford charm and we think are worth a visit.